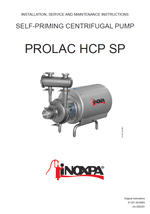 Due to the choice of materials and its design, PROLAC HCP SP self-priming pump is suitable for applications requiring a high level of hygiene, gentle handling of the product and resistance to chemical attack. 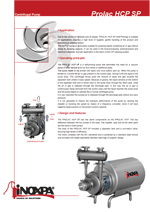 The HCP SP pump is particularly suitable for pumping liquids containing air or gas without losing its pumping capacity. 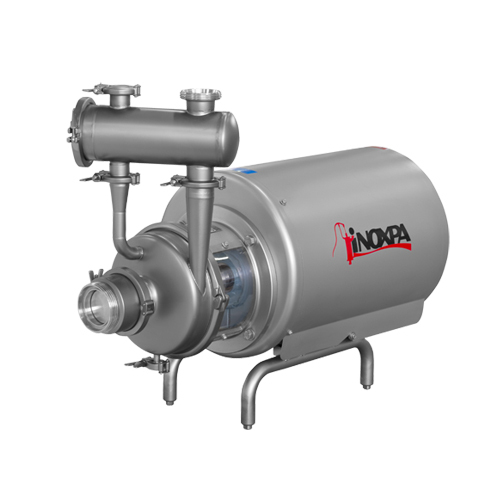 It can be used in the food-processing, pharmaceutical and chemical industries. Its main application is the return of the CIP cleaning system. 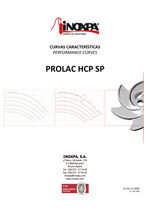 The PROLAC HCP SP has the same components as the PROLAC HCP. The key difference between the two pumps is the body. The impeller, seal and all the other parts are the same in both pumps. 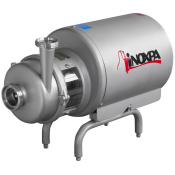 The motor complies with the IEC standards and is protected by a stainless steel shroud and provided with height adjustable stainless steel legs of hygienic design. Motor with other voltages, frequencies and protection classes. Summary På grund af valget af materialer og konstruktion, er PROLAC HCP SP velegnet til anvendelser, der kræver en høj grad af hygiejne, skånsom håndtering af produktet og høj virkningsgrad. Summary La PROLAC HCP SP tiene los mismos componentes que la PROLAC HCP. Sólo el cuerpo es diferente, mientras que el rodete, cierre y el resto de piezas son las mismas.